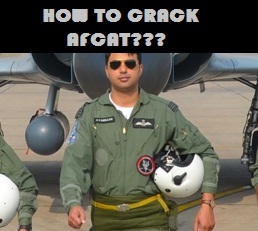 Applied for AFCAT exam and looking for tips to crack AFCAT exam. Check out best tips by experts to pass AFCAT exam of Indian Air Force and make way for SSB interview. There is less than one month time left for the Air Force Common Admission Test. If you have started your preparation, it is good but if you have not started till now then you need to gear up from today itself. Still there is time and if you really want to become an officer in IAF through AFCAT exam you have to put your best efforts. Before preparing for any exam, you need to know about the exam pattern and marking rules of that exam. So go on and see the AFCAT exam pattern first and have an idea about the examination. Now you have got an idea about the type of questions that you will be facing. So you need to prepare for the exam accordingly. Earlier we had suggested one month preparation plan to crack the AFCAT exam. So check out our suggested AFCAT preparation plan and follow to pass the exam with good marks. Current affairs questions are very simple and thus you need to be thorough with them. Go though Competitive Success Review / Pratiyogita Darpan magazine from June 2015 to February 2016. In the current affairs, you are likely to get questions related to the sports events, recently released books and Padma awards announced on the 26th January 2016. Also there may be a question tossed up on the republic day guest. Only last year and this year guests are important so just remember that last year USA president Mr. Obama and this year France president Mr. Hollande was the chief guest. Best thing to prepare for AFCAT exam is to buy a book or two which are exclusively designed to crack the AFCAT exam. We recommend Arihant's AFCAT exam preparation book as the cheap and best book to consider buying. Also we recommend you to go through the previous year question papers. If you are an engineer, then for Engineering Knowledge Test, you have to refer to the GATE entrance books to crack EKT. Daily practice is must if you are serious about passing the AFCAT exam. Take out some time for AFCAT preparation from your daily routine. This will be beneficial for other competitive exams too. Also check out the instructions for filling up the AFCAT OMR answer sheet to avoid unnecessary mistakes. So go on and give your hundred percent in AFCAT exam preparation and I am sure that you will crack the exam with good marks.